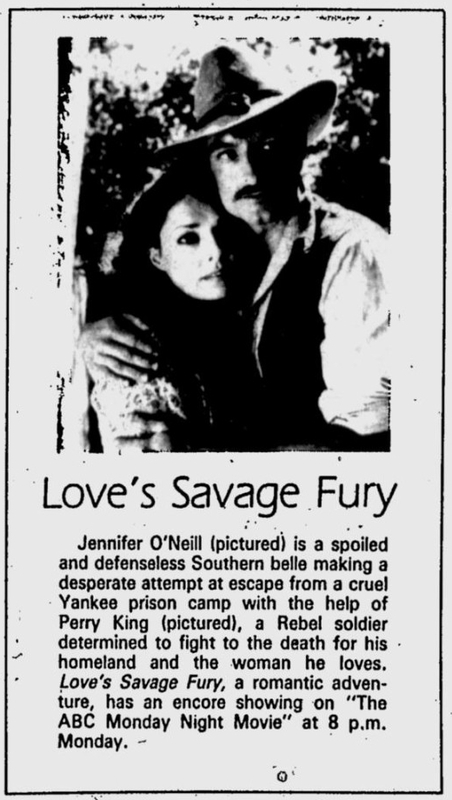 In 1979, Jennifer O'Neill starred in Love's Savage Fury, a TV movie set during the Civil War and based on a book by famed romance novelist Rosemary Rogers. 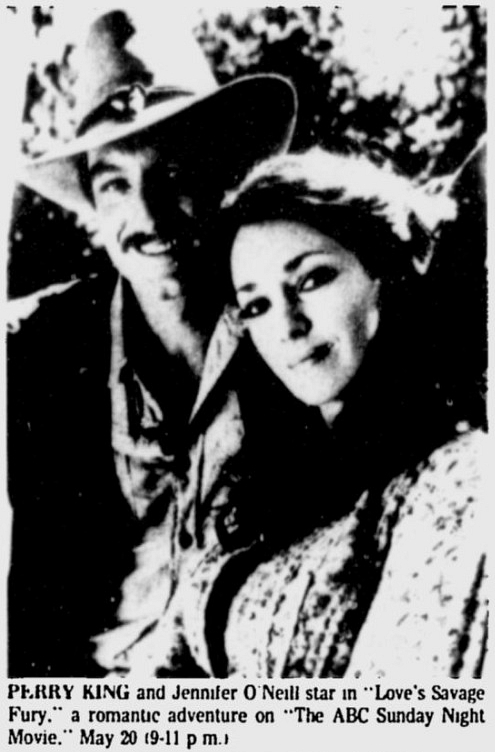 It was the first television project for Jennifer O'Neill, an actress who had been starring in feature films since 1970. 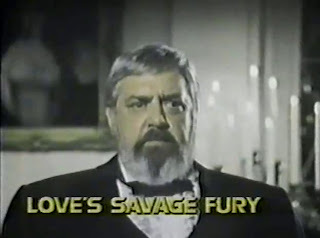 Produced by the prolific Aaron Spelling, Love's Savage Fury was originally to have starred one of Spelling's Charlie's Angels stars, Jaclyn Smith (who supposedly turned down the lead role after her proposal that her real-life husband co-star with her was rejected). 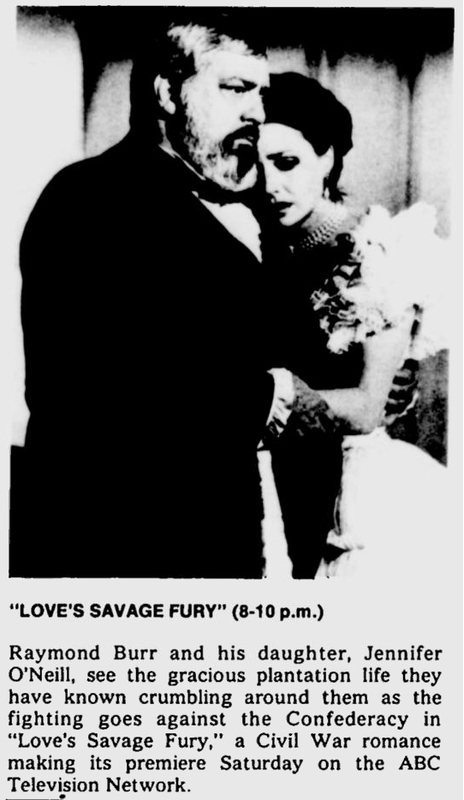 Apparently, Dallas star Victoria Principal also turned down the lead in Love's Savage Fury before it was taken on by Jennifer O'Neill. 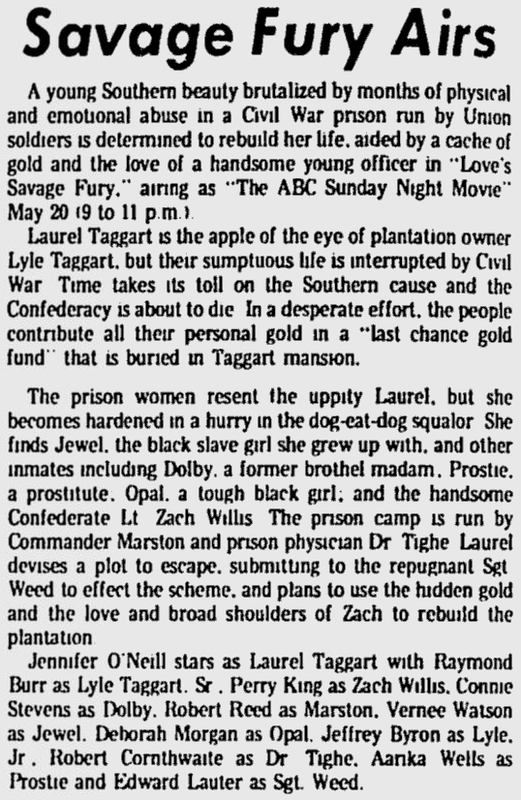 Love's Savage Fury is one of those forgotten Civil War epics that is not so well remembered today. 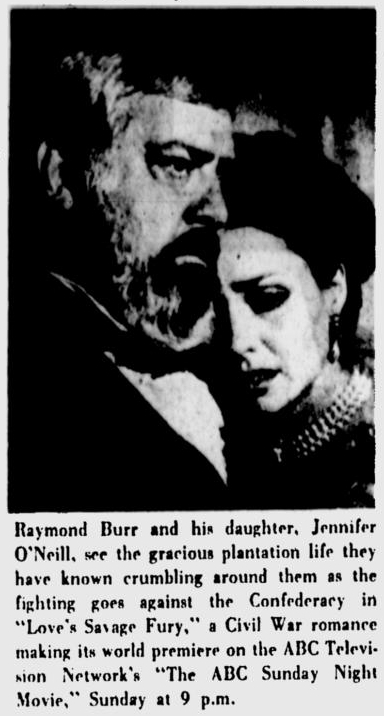 When the TV movie originally aired on ABC in 1979, it was somewhat overshadowed by the original broadcast of the CBS miniseries Blind Ambition. Love's Savage Fury got replayed on television occasionally through the 1980s and did get a VHS in the mid-'80s, but the project still remains relatively obscure.